Emperador Dark has always been one of our most popular marbles and continues to be so today. Check out this tub deck. It has been Mitered for a monolithic look. It looks like a solid block of marble doesn't it? This is a lot of work and talent on the fabricator's part. They did a great job, it is gorgeous. Emperador Dark looks great with light blues. In this bath they chose a wall color that compliments the marble really well. 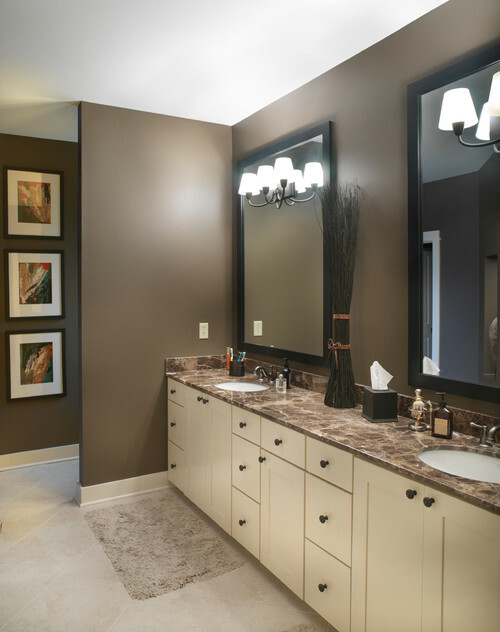 In this bath they used a brown on the walls that is very similar to the Emperador Dark countertops. Mixed with the cream cabinets and walls this color combination is really pretty. Emperador Dark was used as the shower shelves. 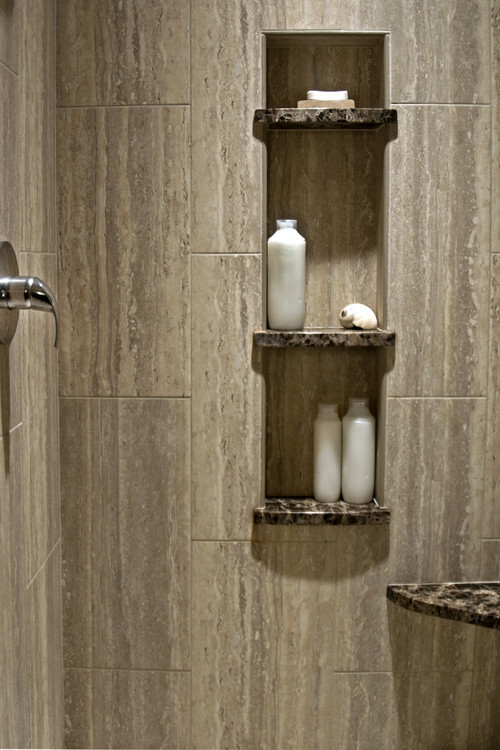 The linear patterned tile is actually a porcelain tile made to look like travertine. 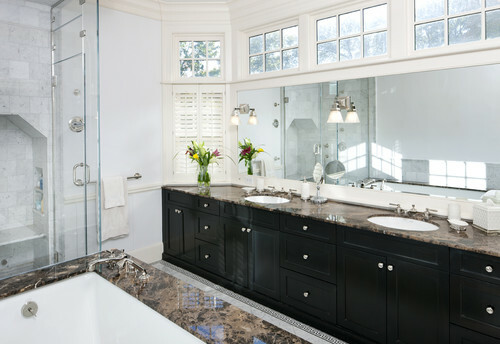 Last we have a beautiful tub deck and vanity countertop both out of the Emperador Dark marble. Tell me what you think. 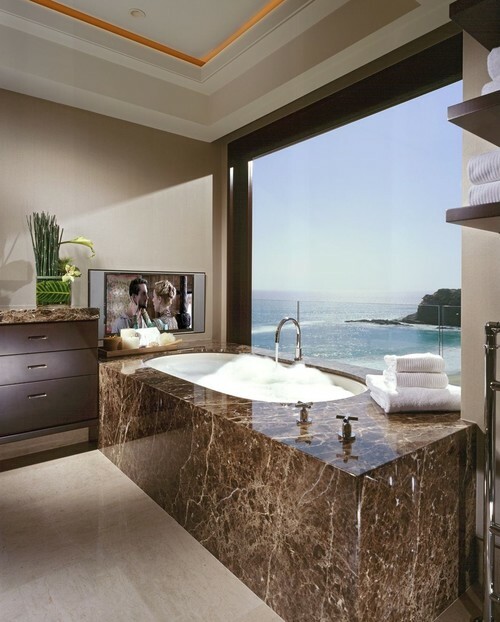 Would you use Emperador Dark in your bath? P.S. If you want to see a really gorgeous kitchen that has Emperador Dark marble click here to check it out.